When the church’s singing is structured around Israel’s psalms, there is a constant reminder that worship is not primarily a matter of personal choice; that the experience of worship is not primarily my own private experience; that the voice in worship is not even primarily my voice, but the voice of Israel, the voice of Christ, the voice of Christ’s people gathered across time and space, learning together how to transmute all the varied raw materials of human experience into the praise of God through the alchemy of Jesus Christ. As someone who is involved in leading worship, this helps articulate my frustration and desire to do better. Yoder ends with talking about how modern social ethic is obsessed with meaning and direction of history and making sure it heads in the “right” direction. movement toward these goals is itself a moral yardstick. He highlights church history as a good example of how every time we work this way it seems to go badly wrong. This highlights something pretty substantial about how I think about the church. Something my wife has hammered home in me (via Stanley) that the church is primarily called to be faithful. Perhaps that much seems obvious to you. But it seems in stark contrast to how we actually seem to live it out. We live as if our job is to change the world. When perhaps that is not our “job” but the “job” of the one we follow. If we are faithful no doubt the world will be changed but that is somewhat different. 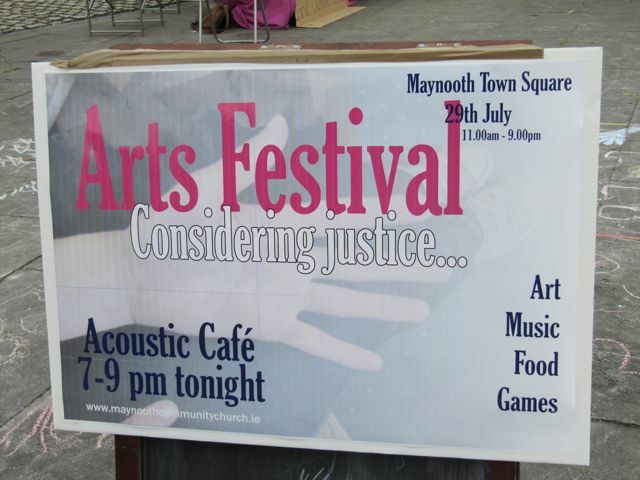 The woman who in a moment of drunken madness agreed to marry me organised a youth arts festival in Maynooth the other day. The teenagers from our church gave their utmost to the whole thing and the church in general baked and painted themselves into a festival creating mass and it was really cool. I grew up in the church of Ireland. We sang psalms. Or rather the choir did and the congregation mumbled along behind. I now go to a Presbyterian church. Where they also sing psalms.Though they use four rather than the COI’s two notes for the melody. This has been somewhat of a blogging hiatus. 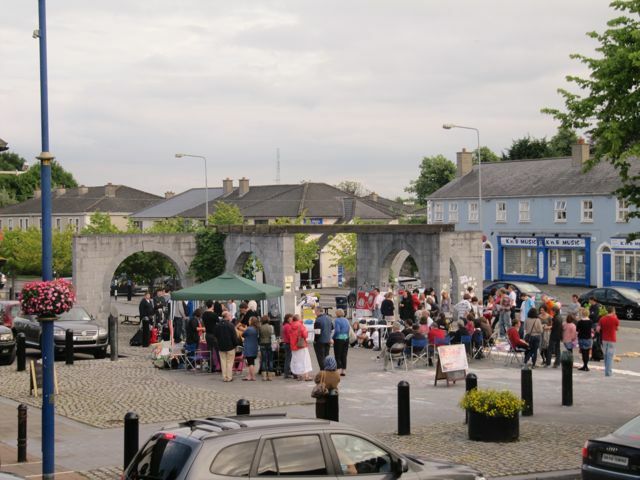 Blame global warming, blame spending my time to and from Maynooth, blame the economic downturn. Whichever way you look at it that trip to Texas was a while ago now. I have not been inactive. I perhaps have not paused enough to reflect on any of it. A simply cracking book by a Belfast guy I saw speak about 3 weeks ago. It is not exactly easy going – not so much big words and lots of Hebrew, more that it has big ideas that need chewed over. It has reinforced with me how much my understanding of GOD, the church and my relation to it all has changed quite spectacularly (at least from my perspective) over the years. I am up to chapter 8 (out of 15), so I figure i’ll give you an update on the salient points so far. If i feel particularly enthused I might start a Scott McKnight/Patrick Mitchell walk through each chapter. He uses the word missional a lot. Missional is one of those words that church people throw around. A word that I felt confused by till I realised I’d understood it for years and just never had the word. A bit like church as community having a bit of a revival even though it’s stuff my Dad’s generation had been doing in Muckley for years without the terminology. In the new testament setting this meant churches with a mission mindset, willing to engage the culture in order that GOD might fulfil his mission through them. Wright’s goal is to help us read the Bible with a missional hermeneutic – or in more simple terms (casue i still have to look up words like hermeneutic and soteriology in Wikipedia every time I read them…) – to read the Bible from the perspective of GOD’s mission. And if we do this we will find great reward in understanding the grand, over arching narrative of the Bible. – spends most of the narrative journey on the story of GOD’s redemptive purposes being worked out on the stage of human history. – finishes beyond the horizon of it’s own history with the eschatological hope of new creation. I also love his description of GOD as one who wills to be known to the ends of the earth. 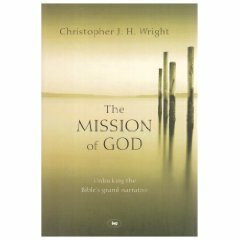 As an old testament scholar Wright spends a lot of time there, examining the statements of mission, perhaps most clearly seen in the words spoken to Abraham in chapter 12 and how these words are continually drawn upon throughout the history, literature and poetry of the people of Israel. And when this is seen it makes much more sense of what Paul was trying to say. He also describes well both the particularity of GOD’s relationship with Israel as his covenant people but also the overwhelming universality of GOD’s purpose towards humanity – expressed from the earliest to the latest pages of the Bible. I hate to say that I’m not sure I have heard teaching like this often in the church. If it was spoken then I didn’t actually hear it. I heard a lot about my sin, about grace and faith and lifestyle, and even a lot about telling the story of the gospel. But without this view of what on earth GOD is actually at, it all seems quite narrow. It has been a huge joy and awakening (over about 3 or 4 years) to realise that there is more to salvation than redemption from sin. Yes GOD does this, but it is almost the tip of the ice berg in terms of what he is doing. I have been surrounded and involved in Christianity since i was born. It was in many ways the air i breathed. I am everything I am because of everything I am – to try and simplify faith into a simple indoctrinating process shoots away the ground you stand on. I remain surrounded by and involved in Christianity. And lots of interesting and exciting and lovely and horrible things have happened along the way. I plan to live a life surrounded by and involved in the Christian faith. I cannot put a definite time on the beginning of my faith. I remember feeling strongly about it and praying with my family shortly after one of my child hood friends was killed in an accident. That meant something. I’m not sure what. I’m not sure a distinct point of salvation means anything. I imagine time looks different from the perspective of infinity. 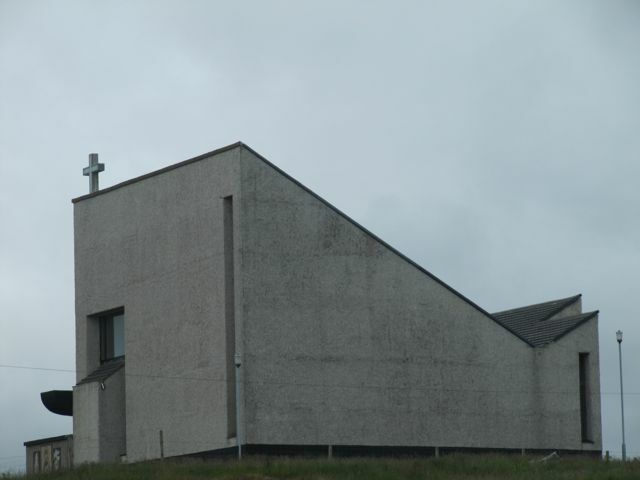 I grew up in a Church of Ireland church but was never baptised. My parents were unclear about baptising babies and so they figured they’d let us grow up and decide on baptism ourselves. And I suppose I did decide about baptism – about 14 years ago about. Yet I only just got round to it sunday past. It was cool. Not that covers the theological aesthetics of it all. But it was. Our place mainly baptised babies but has been known to baptise adults when the need arises. I figured me and Simy would go for the baby option and he could scream through the service and I’d wet myself and vomit over the minister. We each got a minute or so to introduce ourselves and a bit of our story and why we were getting baptised. Then we knelt and got slightly damp and I cried. These are powerful things. The church – this disparate bunch of legalists, sinners, lovers, haters, bored and zealous – this church is the most powerful thing in the world. Broken and ugly GOD loves his bride. This makes me cry. Da was not there. Understandably. And most people there knew it. And most people there felt it. They’re a good bunch to cry in front of. I’m grateful for them.